Bread looks so soft and delicious.Thanks for drop in my Home made vegetarian recipes blog. 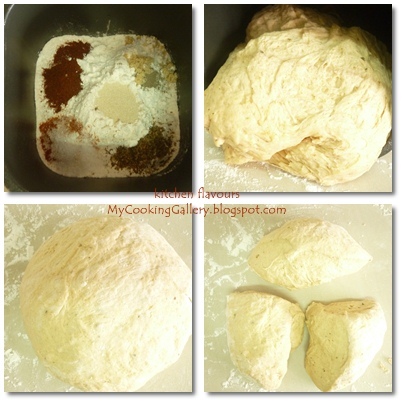 I love the spices and the fact it's a bread machine recipe. I'm always looking for new ones. I bet it was delicious with that yummy stew! This beautiful bred, i will eat from your photos !!! I love so much the home-bred and chicken stew !!! Mmm...i love a little paprika in my bread as well. Looks fantastic! Perfect bake.The spice blend used here is exquisite.. This bread looks so heavenly and delicious! Love the spices and that it can be made in a bread machine. Thanks for sharing! Yum that bread sound good, and with a chicken stew even yummier! thanks Joy. spices in bread sounds interesting! it's always nice to try different favours in bread! I love the spices in this bread, sound so fabulous! I love this! Homemade bread is always best- I love the spices in this one. :) My bread machine is ready and waiting! chicken stew and cajun bread...delicious combo ! 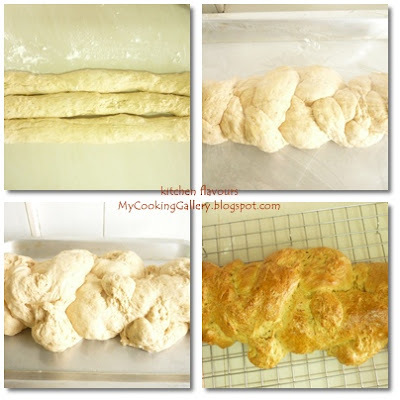 Your bread looks lovely - particularly the plait design. I also love stew/soup with bread...so good! Do you have the stew recipe actually? Good to have a sis living nearby. And great to have a bread-making machine. I used to have one. Now since I seldom bake I just knead the dough manually. The cajun bread looks good. I haven't baked bread in so long! urs looks delicious! Your bread is baked perfectly! Love it! This bread sounds and looks wonderful. Looks like it went perfectly with your sister's chicken stew! Una receta exquisita especial para hoy,un día muy helado acá,estas buenas comidas son las que me agradan mucho,cariños y abrazos. That looks delicious and fresh... Yummy!! I'm always on the look for spices bread and here I found your recipe. I am a food traveler and love to cook. New to blogging and glad to find your page. Thank you! Your spicy bread sounds delicious! Perfect alongside the hearty stew! That looks comforting and nice with a bowl of stew. Dear Sis, I can definitely repeat the chicken stew only if you promise to bring the bread as you've suggested! you're on! !